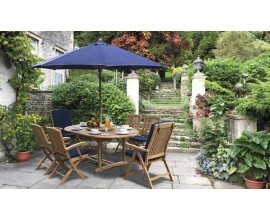 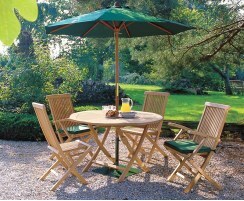 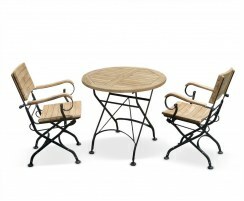 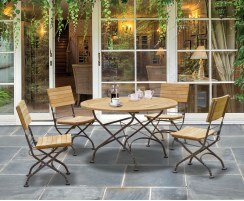 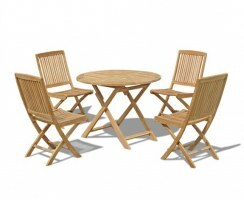 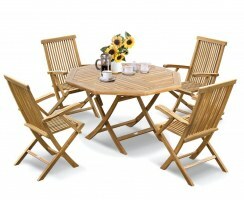 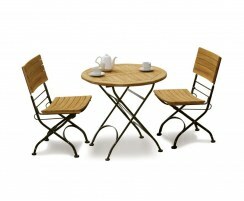 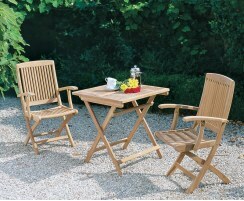 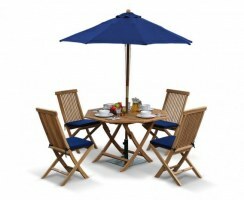 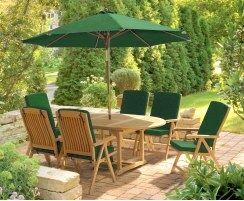 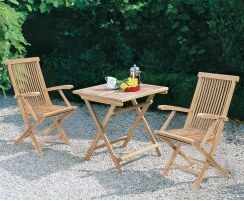 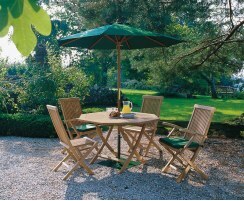 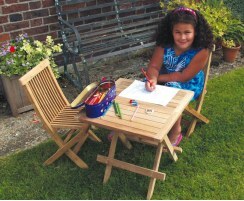 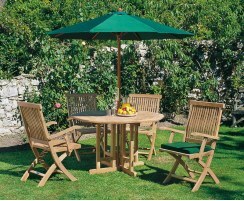 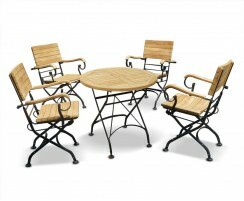 These folding garden table and chairs are a practical addition to any garden, patio, balcony and so on. 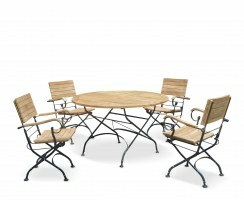 In some cases the tables can be folded away as well as the chairs which is especially handy if space is at a premium or you'd prefer to store or transport your furniture. 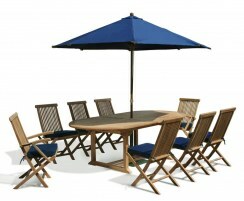 With a wide range of outdoor folding table and chairs to choose from you're sure to find the ideal folding dining sets to suit your space. 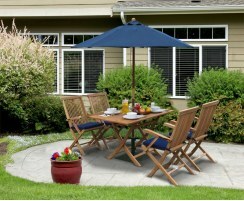 These folding garden table and chairs either have collapsible chairs, foldable tables, or both, so they're the ideal choice should you need to store them and reclaim your space. 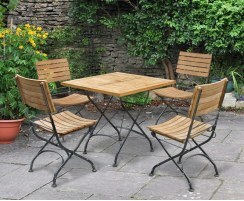 Wonderfully versatile and practical, these outdoor folding table and chairs represent excellent value for money and can be used outdoors all year round in all weather with minimal maintenance. 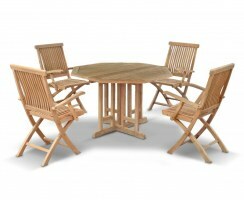 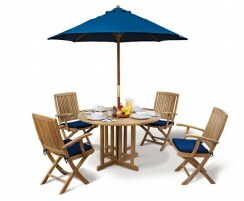 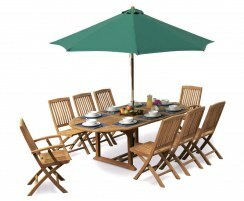 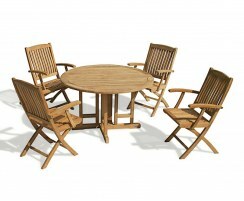 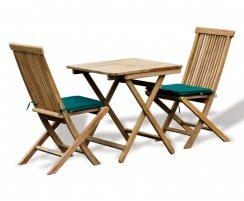 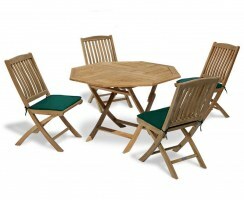 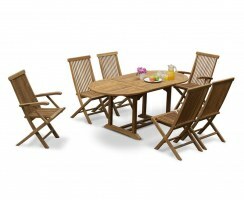 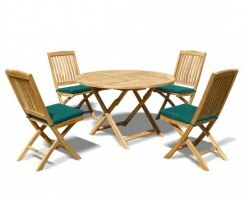 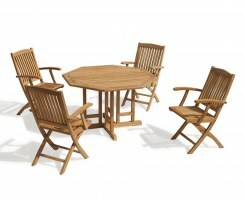 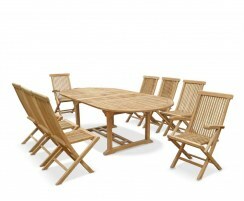 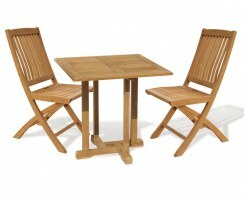 Browse our range of folding dining sets here.